Q: Why can't I receive eMail from Profit Planning Group? A: Your email is being blocked by filters at your firm or ISP. See these suggestions for configuring your email filters. Q: What kind of consulting does Profit Planning Group do? A: None. 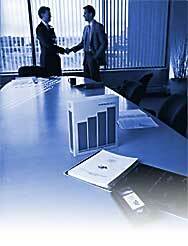 We only conduct profitability, compensation and sales benchmarking studies and related seminars. A list of consultants that we feel are capable are listed on the Recommended Consultants page. Q: What does it cost to have a seminar for my business? A: Fees depend on the length and timing of the presentation. Q: How much is my business worth? A: The quick and easy answer is three to five times pre-tax earnings, adjusted for any extraordinary bonuses paid to owners and the like. A more complex answer is to check with a business valuation consultant, such as the one listed on the Recommended Consultants page.